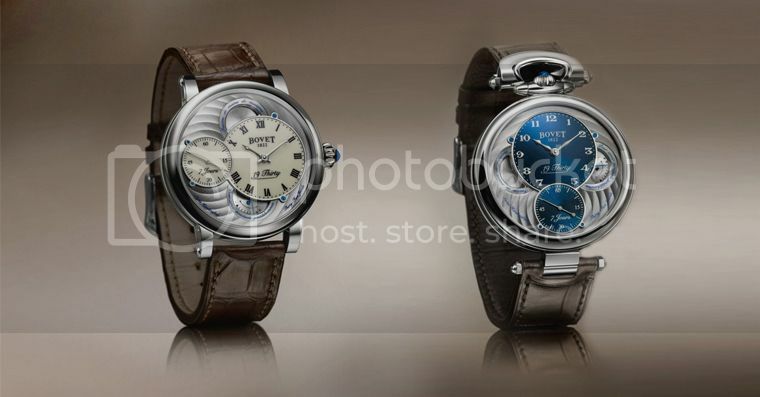 Much more than a new model, Pascal Raffy, owner of BOVET 1822 and DIMIER 1738, has decided to unveil an entire new collection for the second half of 2015. To understand its substance, legitimacy and genesis, we invite you to embark on a journey back in time. It is in the 20th century – during the 1930s, to be precise – that watchmaking witnessed one of the most significant turning points in its history: watches overwhelmingly migrated from pockets to wrists. Although from today’s perspective, this seems like a natural evolution for watchmaking, it constituted a genuine revolution at the time. With their new ergonomics, wristwatches provided more freedom and new uses which, in turn, gave rise to new functions. This marked the beginning of specialized watches specifically designed to meet new, more demanding needs. Watchmakers thus found themselves faced with a multitude of new constraints. The movements they manufactured now needed to be more precise and their dimensions reduced. Linked to this development, steel, which was enjoying a boom, became a firm favorite for fashioning cases thanks to the many advantages afforded by its mechanical properties and resistance. No other watchmaker symbolizes this transitional decade better than BOVET 1822, whose solid reputation for wrist-worn chronographs came to equal its 19th century renown for pocket watches. A genuine symbol of this evolution, the exclusive design of the iconic Fleurier case now makes it possible to wear a pocket watch on the wrist. The eighteen references that already comprise this collection are driven by a dedicated caliber that has been entirely developed and manufactured by watchmakers and artisans at DIMIER 1738. Drawing its energy from a single barrel, this hand-wound mechanical movement features a seven-day power reserve and a frequency of 21,600 vph – feats that are only made possible by components that have been impeccably finished using ancestral artisanal techniques. As usual, the architecture of this new caliber is focused on harmony and symmetry to create unique elegance. 19Thirty finds a natural place among the BOVET 1822 collections and defines a new vision of traditional contemporary fine watchmaking, inspired by the richness and diversity of a heritage that has accompanied the history of the watchmaker’s art since 1822.